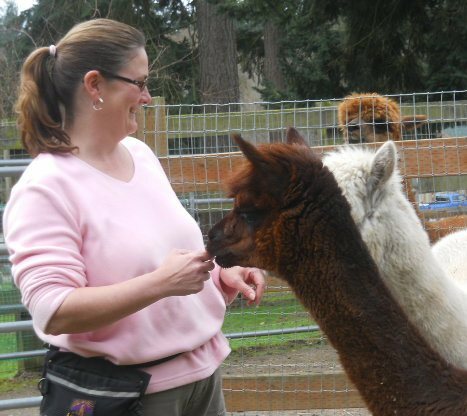 Openherd: Pronkin' Pastures Alpaca Ranch is a farm located in Greenbank, Washington owned by Ron & LeeAnna Jorgenson. Welcome to Pronkin' Pastures! 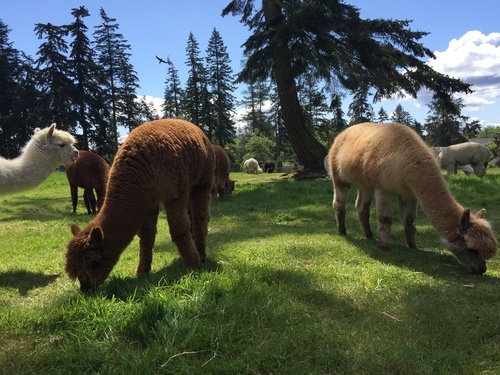 Tucked away on Whidbey Island in Washington state's Puget Sound, lies a lovely little alpaca ranch…. 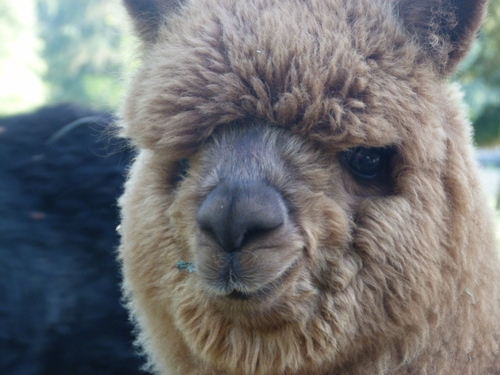 Pronkin' Pastures is home to 40 alpacas, a rescue llama, and a cute little farm store. 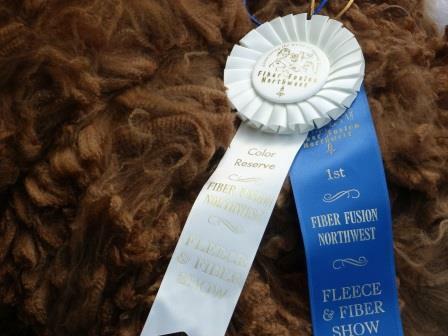 Established in 2006, we breed for lasting fiber fineness and uniformity, sound conformation, and pleasant personalities. The cute part comes naturally! Whether you are looking for breeding quality animals, fiber animals, or an adorable lawn mower, we offer a fine selection. Farm visits welcome. Call, text or email to schedule an appointment. We'd love to introduce you to our herd! Everything changes.... Make an offer! At the very same time we chose to add new genetics to our herd with the purchase of two new stud males, an unexpected change in our off-farm work situation has presented itself. The change in outside work motivates us to *reduce* (not increase) our herd size - and here we are committed to the purchase of 2 new stud males! With that in mind, don't hesitate to make us an offer. We are offering several of our girls at significantly reduced rates in order to reduce our herd size. Additionally, we will be offering breedings to the new boys in our herdsire line-up at bargain pricing to get their careers started. Both new herdsires (one true black, one bay black) offer quality genetics and impressive fiber statistics. As soon as these boys arrive on site (mid-July), we will get them posted in our herdsire listings. Stay tuned for details! We are happy to offer multiple purchase discounts on alpacas and on stud services, and creative financing to suit your needs.